Through na unique combination of active ingredients of natural origin, this deodorant regulates perspiration without blocking, and neutralizes bacteria responsible for bad smells for long term protection and intense feeling of freshness. Effectiveness 24h without stains and without residues. 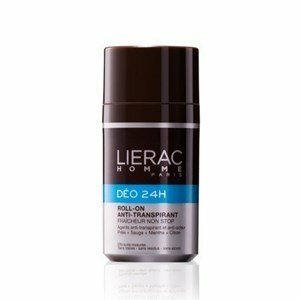 With Deo 24h, the body hygiene of men is complete! freshness non stop - mint extract & lemon essence. Apply the product directly on clean, dry armpits.